Erbil, Kurdistan Region, Iraq (gov.krd) – Kurdistan Region Prime Minister, Nechirvan Barzani, yesterday received Mr. Jean Asselborn, Minister of Foreign and European Affairs of Luxembourg and his accompanying delegation. The two sides discussed the situation of the internally displaced Iraqis and Syrian refugees that fled the violent repression of the Islamic State terrorist organisation, ISIS, and took refuge in the Kurdistan Region. They highlighted the heavy burden that this population represents on the Kurdistan Regional Government at a time when the Kurdistan Region is going through a financial crisis, lack of budget and a war which has been imposed on it by ISIS. According to a recent joint report by the United Nations and KRG Ministry of Planning, the IDPs and refugees in Kurdistan Region represent 28 percent of the local population. Despite the difficulties, the Kurdistan Region has accommodated and provided them all the assistance and services that it can. The visiting delegation stressed that it will plead the plight of the IDPs and refugees before the international community, in particular the European countries, for them to provide further aid to the IDPs in the Kurdistan Region. 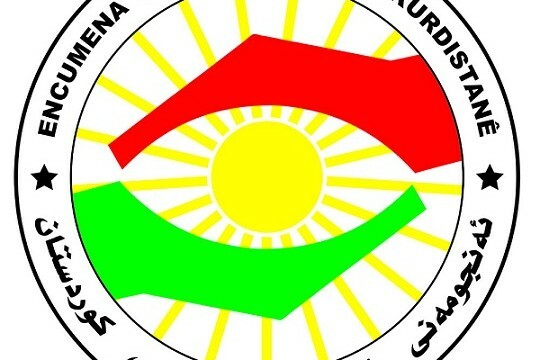 The delegation also stressed that it will raise this issue at the conference of donor countries, which is scheduled to be held in Kuwait next week and will inform the audience about the extend of humanitarian duties that the Kurdistan Regional Government has implemented towards the displaced and refugees. Prime Minister Barzani emphasised that the Kurdistan Region has embraced all the displaced persons regardless of ethnicity, religion or sect. Both sides also discussed the current political situation in Iraq, the fight against ISIS and the progress made by the Kurdistan Peshmerga Forces on the frontline against terrorism. The delegation expressed its government’s readiness to provide the necessary assistance for medical treatment to injured Peshmerga. Prime Minister Barzani said that the Peshmerga forces are fighting against ISIS terrorists in order to defend and protect the principles of human rights, which are values that the Kurdistan Region shares with all supporters of freedom across the world. At the request of Basque Parliamentarian Group, Spanish Parliament passes measures against ISIS and to support the democratic future of Iraq and Syria. • The Committee of Foreign Affairs of the Spanish Parliament has supported a motion that was prepared by Aitor Esteban (Basque Parliamentarian Group) and agreed upon by PP (Partido Popular) and PSOE (Partido Socialista Obrero Español). • The initiative calls for a commitment to the affected civilian population and urges the United Nations to examine the situation of ethnic minorities and avoid abuses of human rights and impunity, and any in the violations past and future. 1) Take all measures in their power to prosecute and punish the acts of the so-called “Islamic State of Iraq and the Levant (EIIL) / Daesh”, acts of genocide and crimes against humanity, especially in the cases of Yazidies, Assyrians, Chaldeans and other ethnic or religious minorities in the Middle East. 2) To support the competent organs of the United Nations, including the Security Council examining the situation of ethnic and religious minorities in Syria and Iraq, in order to preserve their wealth and religious and ethnic diversity, with special emphasis on measures designed to prevent impunity for abuses or violations of human rights in the past or future, as well as the destruction of the cultural and artistic heritage of the region. 3) Promote the realization of other parallel dossiers by the UN to collect the evidence of the destruction of cultural heritage of humanity by ISIS/Daesh being carried out systematically. 4) Commit to the protection of the civil population affected and promote humanitarian actions to the displaced people because of the conflict in Lebanon, Turkey, Jordan and especially to the Autonomous Region of Kurdistan, where the proportion of IDPs in relation to the population is much higher. 5) To recognize the work done by the authorities of the countries such as Lebanon, Turkey, Jordan and especially of the authorities of the Autonomous Region of Kurdistan converting their territory into the only place in Iraq where the coexistence of faiths and ethnic minorities is possible today, even in the midst of war. 6) Promote and increase the efforts of Spain in the Coalition in all areas. 7) Commit for a democratic future in Iraq and Syria and ensure a real stabilization and peace in the area. 8) Request the fulfillment of economic and military agreements adopted by the Iraqi parliament, among which is included in fair distribution of oil revenues. 9) Condemn any act which constitutes an abuse or violation of human rights in the area, whether carried out by the ISIS, by pro-government militias or any other group or government acting on the Syrian-Iraqi conflict. Erbil, Kurdistan region, Iraq (gov.krd) – Kurdistan Region Prime Minister, Nechirvan Barzani, received yesterday a delegation comprising members from the European Union Parliament. The two sides discussed the current situation in the Kurdistan Region, the issue of the refugees and internally displaced people, the fight against the Islamic State terrorist organisation, ISIS, and the relationship between Erbil and Baghdad. The visiting delegation praised Kurdistan Regional Government for having accommodated and provided humanitarian assistance to hundreds of thousands of displaced Iraqis who fled ISIS repression in other parts of Iraq and took refuge in the Kurdistan Region, despite its financial crisis and the heavy burden this population represents for the Region. The members of the European Parliament delegation also praised the role of the Peshmerga forces who they described as defenders of freedom and human values. The delegation paid respect to the sacrifices of the Peshmerga and hoped that this war will end soon, marked by Peshmerga’s victory. They also discussed Kurdistan Region’s humanitarian and military needs and the prospects of the agreement reached between the Federal Government of Iraq and the Kurdistan Regional Government on oil export and budgetary issues. Prime Minister Barzani expressed the gratitude of the people and government of the Kurdistan Region for the positive stances that the European Union has taken towards the Region. He stressed that the Kurdistan Region will continue providing assistance to the internally displaced Iraqis and Syrian refugees, and to the survivors of terrorism. However, the Kurdistan Region, he said, expects the international community to increase its aid, so far inadequate, in order for the Region to address its emergency situation. It is expected that the awaited military operation to liberate the city of Mosul from ISIS occupation, will provoke a heavy influx of displaced people, making their way to the Kurdistan Region. Prime Minister Barzani said that the Region hoped that the international community and in particular the European Union would provide the necessary assistance, either directly or indirectly through United Nations agencies or non-governmental organisations, helping the region to be ready for all the eventualities. The Prime Minister briefed the visiting delegation about the situation in the war front against ISIS and the victories marked by the Peshmerga forces. Regarding the relations between Erbil and Baghdad, the Prime Minister reiterated that the Kurdistan Region is committed to the agreement it reached with Baghdad last December, adding that meantime Baghdad must also comply with the budget law of 2015, in its terms regarding the Kurdistan Region and implement them. Erbil, Kurdistan Region, Iraq (gov.krd) – Kurdistan Regional Government Prime minister, Nechirvan Barzani, yesterday received Japan’s Deputy Minister of Foreign Affairs, Kentaro Sonoura and his accompanying delegation. Mr. Sonoura expressed the gratitude of his people and government to the Kurdistan Regional Government for standing beside Japan and condemning the murder of the Japanese hostage, Haruna Yukawa, last January by the Islamic State terrorist organisation, ISIS. The Japanese Deputy Foreign Minister reiterated that his government will continue to provide humanitarian assistance to the internally displaced Iraqis and the Syrian refugees who fled ISIS repression and took refuge in the Kurdistan Region, particularly in the sectors of health, education and services. He also pointed out that Japan has a number of projects which it plans to implement in the Kurdistan Region. Mr. Sonoura recalled the visit by an Iraqi delegation to Japan, which comprised a number of members of Iraqi Parliament, including Kurds, Sunni Arabs and Shia, where Japan promised that it would implement a series of service projects in Iraq and the Kurdistan Region. Prime Minister Barzani briefed the Japanese delegation about the situation in the Kurdistan Region and the war against ISIS, stating that the Peshmerga are continuously progressing and that ISIS is suffering great setbacks, as the Peshmerga Forces have been able to liberate a number of strategic positions. Prime Minister Barzani also briefed the Japanese Deputy Foreign Minister and his delegation about the situation of over 1.4 million internally displaced Iraqis and the heavy burden this population represents for the Kurdistan Regional Government, at the moment when the Iraqi Federal Government does not provide the required aid. The Prime Minister also stressed that the Kurdistan Region would appreciate to receive from Japan its expertise in the field of de-mining through the provisions of hardware and modern technology. This would have a significant impact on the war against terror. Erbil, Kurdistan Region, Iraq (gov.krd) – Kurdistan Regional Government Prime Minister, Nechirvan Barzani, yesterday received Dr. Ala Alwan, World Health Organisation Regional Director for Eastern Mediterranean Region, EMRO, and his accompanying delegation in Erbil. Dr Alwan presented his organisation’s assessment of the health situation in the Kurdistan Region, highlighting the activities of the Kurdistan Regional Government Ministry of Health in general and the Health General Directorate of the Governorate of Duhok in particular. Dr Alwan said that despite the heavy burden supported by Duhok Health General Directorate, it has been able to provide medical and health services on a regular basis for the internally displaced Iraqis and the Syrian refugees in the camps as well as the residents of Duhok Governorate in general. Since June last year, the Governorate of Duhok has been facing massive arrival of internally displaced people, mainly from Nineveh province, fleeing the repression of the Islamic State terrorist organisation, ISIS. Out of 1.4 million IDPs and refugees who fled to the Kurdistan Region, more than 850,000 are settled in the Governrate of Duhok. Dr Alwan also highlighted the role of World Health Organisation in trying to obtain donations and aid to meet the health problems in the Kurdistan Region. He pointed out that during his meetings with Iraqi Federal Government officials he had stressed Kurdistan Region’s urgent needs for health assistance and called on the Iraqi government to provide further medical and health aid to the Kurdistan Region. Prime Minister Barzani expressed his gratitude for World Health Organisation’s assessment of the work of health authorities in the Kurdistan Region. He also thanked the world organisation for its cooperation and coordination with the relevant institutions in Kurdistan Region’s health sector. Erbil, Kurdistan Region, Iraq (gov.krd) – Kurdistan Regional Government Deputy Prime Minister, Qubad Talabani, yesterday chaired a meeting to discuss and assess the state of airports and flights in the Kurdistan Region. The meeting was attended by KRG Ministers of Interior, Natural Resources, Planning, Transportation and the Head of the Department of Foreign Relations and the Government Spokesperson along with the Governor of Erbil and officials from the Ministries of Peshmerga Affairs, Finance, Trade and Industry and the airports of the Kurdistan Region. They discussed the state of the airports, flights security, Kurdistan’s connection to the outside world. The possibilities to increase air traffic with the view to boosting economic and trade relations and developing Kurdistan Region’s relations with the outside world, were also discussed in the meeting. In the early hours of 9 March 2015 to 0500hrs International Coalition Airstrikes targeted Islamic State in Iraq and Syria (ISIS) positions South and West of Kirkuk. The airstrikes destroyed several ISIS positions armed with DShK heavy machine guns and at least 1 ISIS Humvee. At 0600hrs Peshmerga forces initiated a ground-led offensive from two fronts to push the enemy back and diminish its ability to threaten the security of Kirkuk province. By 1700hrs Peshmerga forces cleared over 100 square kilometres from ISIS control. This includes the following areas: Sultan Mer’i, Somail Awa, Multaqa, Mara, Dur Karaba, Sakhra, Wadi Neft, Boitr and the Mektab Khaled Bridge. In addition, Peshmerga forces have successfully controlled the road between Mektab Khaled Bridge and Wadi Neft intersection – a key junction linking Mosul to Kirkuk, further disrupting the enemy’s freedom of movement. Furthermore, Peshmerga forces now control the strategic heights located immediately below Somail Awa. In an effort to stop the rapid advance ISIS deployed 5 VBIEDs during the operation today – all 5 were repelled, with 4 destroyed by Peshmerga forces and 1 by a Coalition Airstrike. Front-line reporting indicates that more than 100 ISIS terrorists were killed today. ISIS fighters fled the battlefield towards Hawija and abandoned dead bodies in the battlefield. Counter-IED teams will continue to clear the area while Peshmerga forces fortify their positions. Erbil, Kurdistan Region, Iraq (gov.krd) – Kurdistan Regional Government Deputy Prime Minister, Qubad Talabani, last Thursday received the Turkish Defence Minister, Ismet Yilmaz and his accompanying delegation in Erbil. The situation in the Kurdistan Region and Iraq and the fight against the Islamic State terrorist organisation, ISIS, were the main topics discussed in the meeting, which was also attended by KRG Minister of Peshmerga, Minister of Interior and government Spokesperson. Mr. Yilmaz said that they conducted a field visit to the Peshmerga training centres in Soran district, adding that Turkey will further develop the training centres and that his government will continue to provide humanitarian and military assistance to the Kurdistan Region. Turkish Defence Minister also pointed out that they look at the security of the Kurdistan Region the same way they look at their own security and consider the danger ISIS poses as a threat to Turkey as well. Deputy Prime Minister Talabani expressed his gratitude to the Turkish government for its assistance, expressing his pleasure at the level of relations between both sides which has witnessed significant progress over the past few years. Erbil, Kurdistan Region, Iraq (gov.krd) – Italian Prime Minister, Matteo Renzi, received yesterday in Rome a Kurdistan Regional Government delegation, headed by Prime Minister Nechirvan Barzani. Prime Minister Barzani expressed the gratitude of the people and government of the Kurdistan Region to Italy for its provision of essential humanitarian and military assistance to the Kurdistan Region and for the visit last summer by the Italian Prime Minister to Erbil, which Prime Minister Barzani described as excellently timed as it helped show that the Kurdistan Region was supported, while facing serious terrorist threat. He briefed the Italian Prime Minister about the latest developments in the Kurdistan Region and the continuous progress marked by the Peshmerga forces on the frontline against the Islamic terrorist organisation, ISIS. He also highlighted the situation of the displaced people from the rest of Iraq and the Syrian refugees who constitute a heavy burden on the Kurdistan Regional Government, stressing that they desperately need further assistance. Italian Prime Minister Renzi reiterated that his government “will continue to provide humanitarian and military assistance to the Kurdistan Region, and in order to eradicate terrorism we will stand side by side with the Kurdistan Region in every way possible.” He also expressed his respect to the courage of the Peshmerga Forces in their fight against terrorism. Mr. Renzi expressed his concern for the spread of terrorist organisations in other parts of the world, stressing the need to confront terrorism all together. He added that Italy will support the Kurdistan Region because it has a strategic position, considering Italy as Kurdistan people’s friend. Both sides also discussed the relationship between Erbil and Baghdad, the situation in Mosul, political developments in Iraq and the importance of including all the components of Iraqi society in governance. They also discussed the situation in Syria and its repercussion on the situation in Iraq and the wider region. The two sides reiterated that a political solution is needed for the Syrian crisis. The KRG delegation included Deputy Prime Minister, Qubad Talabani, Minister of Endowments and Religious Affairs, Kamal Muslim, Head of the Department of Foreign Relations, Minister Falah Mustafa, KRG spokesperson, Minister Safeen Dizayee and the KRG Representative to Italy Ms Rezan Hama Salih.